LiveU, an Israeli start-up, is gearing up to deliver television-quality video of World Cup coverage via cellular connections to broadcast centers and the Internet, using a network of 200 of the firm’s mini-broadcast boxes, devices about half the size of a laptop. Over 30 international broadcasters are scheduled to beam the games from stadiums in the 12 host cities across Brazil, where games will be held during the month-long quadrennial tournament. LiveU will thus be responsible for ensuring that broadcasts of most of the games get out to the rest of the world. It’s a heavy burden, but one LiveU CEO Samuel Wasserman believes the company can manage. LiveU is headquartered in Kfar Saba, with a US office in Hackensack, New Jersey. It was established in 2006 and is said to be the only company offering a remote uplink solution for broadcast-quality video without requiring a satellite or wired Internet connection. The company has hundreds of clients in about 60 countries around the world, including Major League Baseball, the NBA and the NFL. The BBC used LiveU devices for major events, such as the Queen’s visit to Ireland in 2011 and the 2012 London Summer Olympics. 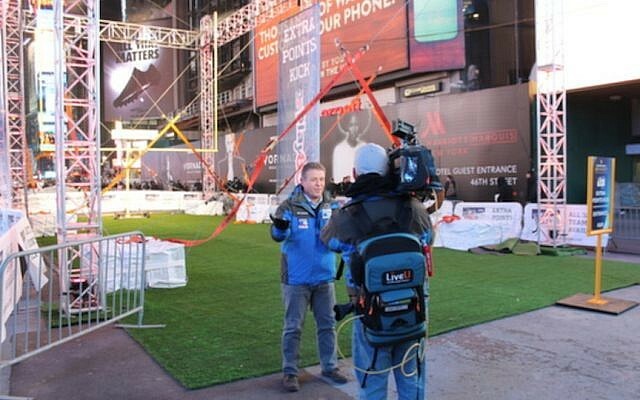 BBC news uses LiveU’s technology for many of its field reports, said Wasserman, adding that the company was honored at the BBC’s “vote of confidence in the flexibility of our solution.” About 50 people work for LiveU. LiveU is currently the only company offering a robust transmission solution for broadcasters, consisting of up to 14 cellular (3G/4G — LTE/WiMAX) modems over multiple carriers, as well as multiple LAN and even BGAN satellite connections (as backup). The solution works with any camera. The bonded modems (both 3G and 4G) aggregate all data connections simultaneously to achieve high bandwidth and smooth transmission, even as bandwidth and signal levels change across the different connections. 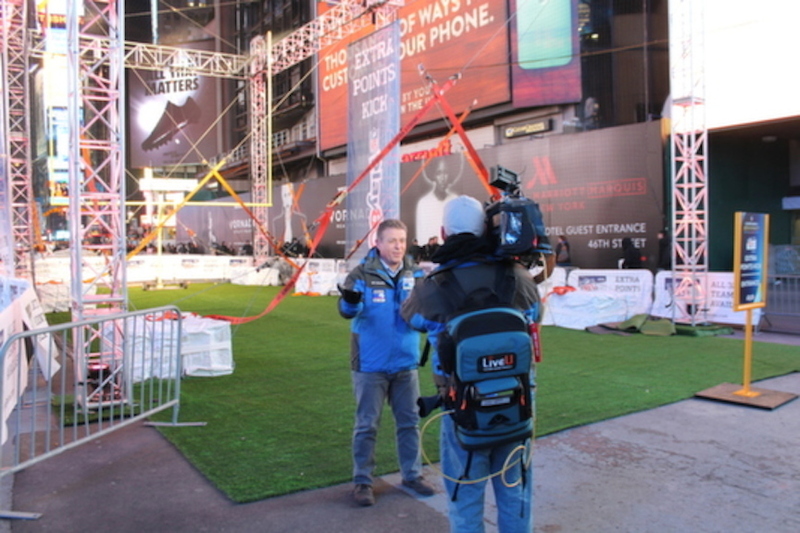 Some of the connections from some carriers may suffer from fluctuations and slowdowns when there is heavy traffic in the network, but LiveU’s software is built to compensate by drawing on other resources to keep the uplink going at the best possible quality. LiveU recently upgraded its broadcast boxes, making them smaller and adding Internet transmission capability. The company’s new DataBridge device allows users to download content from the Internet, edit it and transfer the file back to the cloud, where it can be downloaded for broadcast or viewed via a web site. The device can act as a Wi-Fi hotspot, allowing fans in the stadium, or elsewhere, to view the broadcast via their devices or on a Web site. As a result, FIFA plans for the first time to broadcast live feeds of games on the Internet. LiveU is set to partner with TERRA, the largest Internet company in Latin America, to show full games and clips on subscription sites TERRA will administer. TERRA expects over 80 million people in Latin America and beyond to tune in to at least some of the action on-line.